… I think it’s important to emphasize here that these processes are “deep,” performing below the surface, internal, or as DeLanda describes through Deluzes’s work on Spinoza “the resources involved in the genesis of form are immanent to matter itself.” The implication for the production of meaningful form(s) in both nature and architecture alike is that their generation may in fact not result from an imposed hierarchy or apriori “type,” but are rather the result of inborn relationships of parts within a specific context – ie. they utilize the same immanent resource. I suppose one could consider these resources as the “genes” of an architectural project, as they do provide direction and in many cases structuration, but perhaps in the end this is really only an analogist perspective. What I might suggest instead is the reappropriation of a once widely used architectural term, the diagram, as a more apt reflection of the role immanent resources play within the context of the isomorphic correspondence. ND: Understood, and I like the idea of the diagram acting as genetic code but I’ll respond to one of your earlier points first. And here’s where I think the rubber really hits the road. I hope you’ll forgive me a minute here and I don’t mean to be overly insensitive but isn’t this argument from DeLanda painfully obvious and a long way of saying a very simple idea? Here’s my point: the lynch-pin in DeLanda’s statement above begins with a difference. It begins with an assumption that Architecture is not already a biological process in and of itself. From my point of view, it would seem to make sense that architecture – the construction of buildings, or structure or what-have you – is an act performed by Humans and as such is at least an extension of biology, if not just as biological as say, an osteoblast calcifying into bone, or a nautilus shell growing along its perfect spiralling shell. That is to say, and I could be wrong, that I think DeLanda has some clear “natural” forms in mind that demonstrate his thesis and that there’s a kind of bio-morphic bias to this line of thinking. Let me just say to be clear, I’m in total agreement with DeLanda’s statement at its core. That yes, absolutely, biology and Architecture are deeply connected. But what I take issue with is, firstly the supposed novelty of this point of view and then secondly, the kind of unspoken or sub-textural fetishism of “biological” forms and forces. The logic in some of the thinking done by DeLanda et al. closes the conversation off to the real ugly truths. 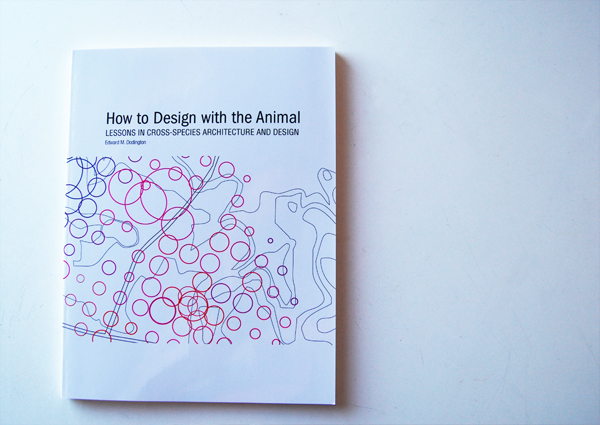 In many ways architecture is always already connected to biology, in that it is created by and for biological beings. This position, and I could be reading into it a little, but I feel that it conveniently neglects to consider that much of nature is quite ugly. Evolution certainly results in some forms that we would consider quite hideous, and I think people forget this. Here, I believe is a basic truth: Architecture itself is not alive. Nor will it ever evolve in the same way that a bone will grow, nor should it (people can disagree with this). But Architecture, for me is certainly an extension of life and living processes. In this sense a strategic and evolving use of materials to achieve a functional form can, in light of an abstract process, behave quite similarly to other biological processes – structures evolve over time with different uses, cities grow and shrink becoming more and less efficient etc…And this is where I think we can find real useful strategies for the development of architectural and urban form. When we introduce the concept of Biology to Architecture I think it behoves us to take a very wide and long-range view of architecture and urbanism. Personally, I have yet to hear a convincing argument that strip-mall development, suburban sprawl, surface parking (as painful as this is to say) are not extensions of biological forces. They might be hateful, ugly, wasteful and destructive but all of these characteristics are also characteristics of natural systems. RL: Ok, I believe I understand your critique of DeLanda within the context of our discussion thus far, but let me restate how I understand your comments and then we takeoff from there. The crux of your initial critique is focused on the fact that DeLanda’s discussion depends on the notion of an inherent difference between the biological and the architectural, that architecture is not already a biological process, a difference you see as being misplaced. In turn his proposed means for relating them to one another, the concept of isomorphism, is in fact not really necessary because this difference doesn’t actually exist in any meaningful way. In other words you view DeLanda’s conclusion, that architecture may be an extension of “us” and our world through the isomorphic as indirect since this is connection is already inherent to architectural production, therefore the role of the isomorphic is simply superfluous and roundabout. Now, when we get down to the nitty gritty maybe you’re right to simply equate the two directly and circumvent the need for an isomorphic correspondence. Maybe at this general level any physical environment devised and constructed by human minds and hands is always, by extension, part of the biological realm as it quite literally aids in our survival as living organisms. It provides us fundamental needs from adverse environmental stimuli without which we would certainly be ill-equipped as organisms to survive. On the other hand, given the immense complexity of our built environment and the exceptionally more complex interactions of the biological / molecular world, I think this view is in many ways too simplistic or perhaps too broad, and does in fact neglect differences that actually are quite real and quite important. As you readily admit “Architecture itself is not alive.” Agreed, it is not living and by extension not a biological agent in and of itself. This is an important difference between biology and architecture that in my mind necessitates the need for a productive way to discuss the ways in which they may still be connected at a deeper level. This is where I believe the incorporation of isomorphism becomes quite useful. 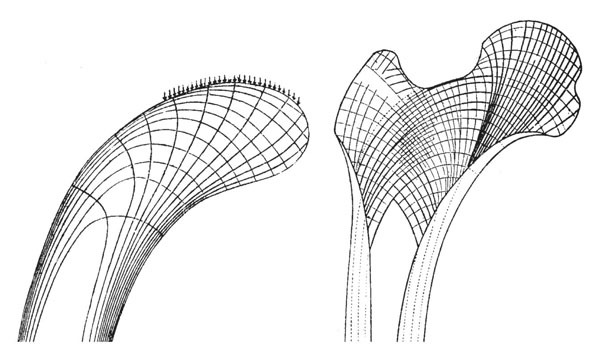 Since architecture is in fact not alive the isomorphic provides a way of understanding these immanent resources (or as I mentioned previously they could be thought of as immanent diagrams) both biology and architecture have in common. Even if you are skeptical as to the necessity of the isomorphic I believe when you state that “a strategic and evolving use of materials to achieve a functional form [Architecture] can…..behave quite similarly to other biological processes,” that in the most important ways we are in agreement. In this definition there is the slight, but extremely important addition that what might be related are specific “processes” as opposed to specific entities or constructions. What I would venture to say is that the architectural is not in and of itself biological, but it rather could and perhaps should, be understood as a biological act, the product of specific processes and developmental factors resulting in a specific formation. Is it living? No, but could be understood as intrinsically linked to many and most biological processes? Yes and here is where I think our conversation may be most fruitful in helping to address your last statement about where we go from here. Whether we agree that architecture is a literal extension of the biological or that they are related at a immanent level through specific isomorphisms is maybe not so much the point in the end, what becomes useful is taking a more advanced look at those biological processes of form making – whether it be the construction of a spider’s web, the emergence of organized communication networks in ant colonies, the adaptation of specific forms to changing environmental stimuli or the molecular transcription of DNA into formal organismal characters – these formative processes may provide insight or perhaps more specifically methodologies for designing a more advanced architectural project. This is not to say these methodologies might be useful because biology embodies some type of “ontological honesty” as you put it, but rather the opposite as I suspect biology’s most useful potentials are not so straight forward, not so honest, an area of discussion I hope we are able to address as our conversation continues.Where I have become a bit lost in your critique is in your reading of DeLanda as having a bio-morphic bias to his thinking, what are some examples of this tendency? In my reading of his work it is in fact the purpose of the isomorphic (the immanent diagram if you will) to move beyond these highly aesthetic, subjective and uninteresting aesthetic connections, and instead focus on the deeper more productive correspondences of formal development. I’m in total agreement with your concern for the fetishism of “biological” forms and forces into the architectural project and very much believe this is a growing problem in many contemporary projects / practices that claim to be informed by the biological. This concern is in fact one of the primary motivators for me taking part in this conversation and the general dialogue of the AnimalArch website. If we understand architecture as an extension of biological processes then your point about including strip-mall development, suburban sprawl and surface parking is right on, we must not exclude the aesthetically “ugly” and value only the “beautiful” in our discussion. I am here reminded of the macroevolutionary concept first devised by Richard Goldschmidt in 1940 and later advocated by Stephen Jay Gould in the late 70’s, of the hopeful monster. What Goldschmidt proposed was that significant evolutionary changes (major structural or behavioral adaptations) might not always occur as the result of gradual change over time, but on occasion may happen through much larger singular jumps. When a radical mutation occurs in an individual, creating a markedly different outcome from the general species type, most of the time it will be lethal and natural selection removes this monstrous individual (along with the genes that produced it) from the population. But once in a while this radical mutation may actually be beneficial to the survival of that individual, especially if the environment is also undergoing significant changes, and potentially makes the mutated individual better equipped, or equipped in a new way than its neighbor in the fight to survive. Goldschmidt called these individuals hopeful monsters. Although radically different from the norm, grotesque if you will, they may under the right conditions provide a way forward where others can not. Within the context of architecture and your previous comments concerning the necessary inclusion of the “ugly” facets of the contemporary built environment into the conversation there are a few recent projects that come to mind which may help to illustrate the potential of the hopeful monster concept towards a more productive architectural formation. The first is a proposal by the architecture office LTL for a new prototypical American city titled Park Tower (2004), a kind of drive-up skyscraper that merges together urban mixed-use programs directly with the vertical infrastructure of the parking ramp. The second project is the recently completed 1111 Lincoln Road parking structure located in Miami Beach and designed by Herzog and de Meuron. This building is very similar in approach to LTL’s Park Tower, in that it integrates car parking directly with retail, private residences and event spaces, but is at a much smaller overall scale. The desire here came less out of a progressive look at the future of the urban construct and had much more to do with the manipulation of local building codes in order to produce a larger more substantial building than might otherwise have been possible. However the result is very much the same as the Park Tower proposal in that they both produce an alternative to the typical service organization of urban parking while also providing the infrastructure to support more diverse urban activities. These projects confront the “ugly” problem of surface parking and use it as a means for generating a new, or at the very least more productive architectural intervention. Under the right circumstances the hopeful monster provides a more successful alternative to the conventional norm. Lewis, David and Paul, and Tsurumaki, Marc. Lewis.Tsurumaki.Lewis: Opportunistic Architecture. (New York: Princeton Architectural Press, 2008.) 118.